For over 15 years, Datatek has been helping businesses improve their IT systems by providing cost-effective, low risk, automated solutions for platform, database, and programming language migrations. Our focus has always been to find ways for companies to retain the large investments they have made over the years in their IT operations. Part of that focus, is to offer alternatives beyond the “all or nothing” migration approach that many vendors tend to take. 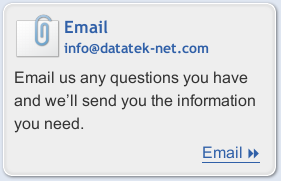 Datatek’s goal is to always offer a solution which makes the best business sense for the customer in terms of cost, time, practicality, and risk. Porting your application to another OS? Want to eliminate licencing costs? Need access to newer technology? Datatek has successfully converted over 50 million lines of legacy code including various assemblers, PL/I, C, C++, COBOL, Fortran, DYL280 & many more! Trying to move off a legacy system such as IBM, Unisys, DG…? Looking to reduce your TCO? Want to retain the years of investment already made in your legacy system? Desire increased performance and flexibility? 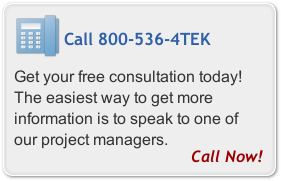 Datatek’s automated system migrations provide a safe, quick and cost effective approach to system migration. Since our first automated conversion in 1994, we have continued to refine our sophisticated tool set by adding new conversion capabilities and support for additional programming languages. On average, our conversion specialists have over 10 years of experience in automated migrations. As a result, Datatek has achieved a 96% project success rate — one of the highest in the industry! Compared to the industry success rate for system migration/conversion projects of between 20-40%,1 we are very proud of the results we have been able to deliver to our clients. 1 Based on data from the Robbins-Goia Survey, the Conference Board Survey, the KPMG Canada Survey, the CHAOS Report, the OASIS Survey, and Datatek’s own observations over 18 years of system migration work. Discover How Datatek Helped a Major American Retailer Save $900,000 Per Year!